Nemiche, Mohamed, and Mohammad Essaaidi (eds). Advances in Complex Societal, Environmental and Engineered Systems. Nonlinear Systems and Complexity, Vol 18, 2017. Springer International Publishing, ISBN 978-3-319-46163-2. Mohamed Essaaidi & Mohamed Nemiche (eds) 2012 IEEE International Conference on Complex Systems (ICCS 2012). ISBN 9781467347648 Pages: (610). Institute of Electrical and Electronics Engineers IEEE (2012). Mohamed Essaaidi & Mohamed Essaaidi & Mohamed Nemiche (eds) IEEE – 2014 Second World Conference on Complex Systems (WCCS) ISBN 978-1-4799-4647-1 Pages: (762). . Institute of Electrical and Electronics Engineers IEEE (2014). Mohamed Essaaidi & Mohamed Nemiche (eds) IEEE – 2015 Third World Conference on Complex Systems (WCCS) ISBN 978-1-4673-9669-1 Pages: (762). Institute of Electrical and Electronics Engineers IEEE (2015). Mohamed Nemiche & Mohamed Essaaidi (eds) (2013) : Special Issue: Systems Research and Behavioral Science Vol 30 issue 6 John Wiley & Sons, Ltd.
Mohamed Nemiche & Mohamed Essaaidi (eds) (2013): Double Special Issue: International Journal of Systems, Control and Communications Vol. 5 No. 3/4. Inderscience Enterprises Ltd.
Mohamed NEMICHE & Mohamed Essaaidi (eds) (2015): Special Issue on Complex Systems. International Journal of Adaptive, Resilient and Autonomic Systems (IJARAS). Vol 6 (2). IGI-Global. Mohamed NEMICHE & Abdelouahed Tajer (eds) (2015) Special Issue on Advanced Tools and Techniques for Complexity Sciences (Part 1) International Journal of Applied Evolutionary Computation, 6(3). IGI-Global. Mohamed NEMICHE & Abdelouahed Tajer (eds)(2015) Special Issue on Advanced Tools and Techniques for Complexity Sciences (Part 2) International Journal of Applied Evolutionary Computation, 6(4). IGI-Global. 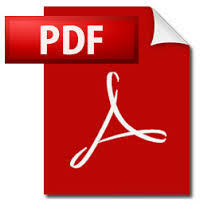 Mohamed Nemiche & Mohamed Essaaidi (eds) (2013) : Special Issue: International Journal of Applied Evolutionary Computation (IJAEC) Vol 4 issue 3. IGI-Global.